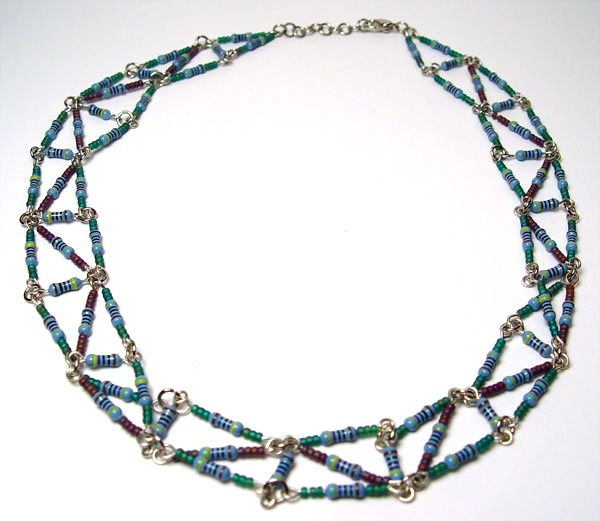 This is a 15" blue resistor choker necklace with a 1" chain extension. It is made up of 69 blue resistors that are used in electronics and are RoHS compliant. 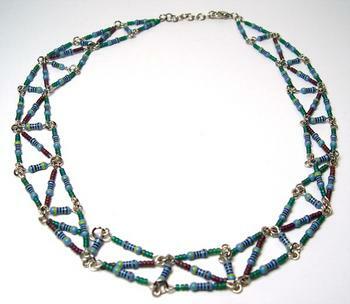 (No lead) There are matte green and maroon seed beads that help make the design.